The Olympics were a while back, and I never did come out with a pattern for them. 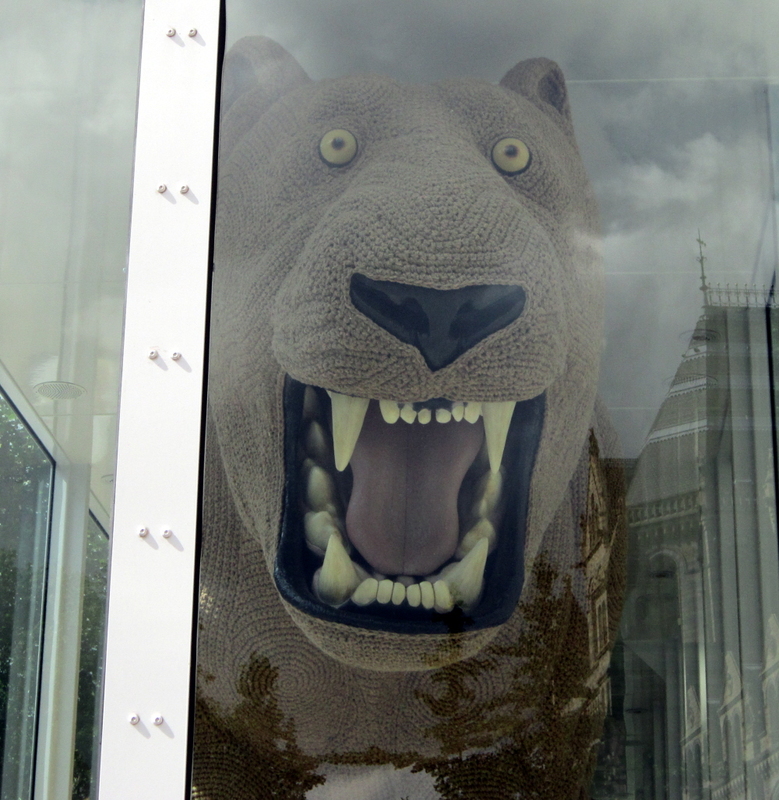 That was mostly due to the despute between Ravelry and USOC. If you havn't heard about all that jazz, check it out here, it's very interesting. Aaany how, while I didn't come out with a pattern for the Olympics, a friend and amazing crochet and pattern artist, Lucy, who lives in England, and I decided we would do a little pattern swap for the occasion. If you havn't seen any of her work check out her blog and Etsy, it's honestly incredible. 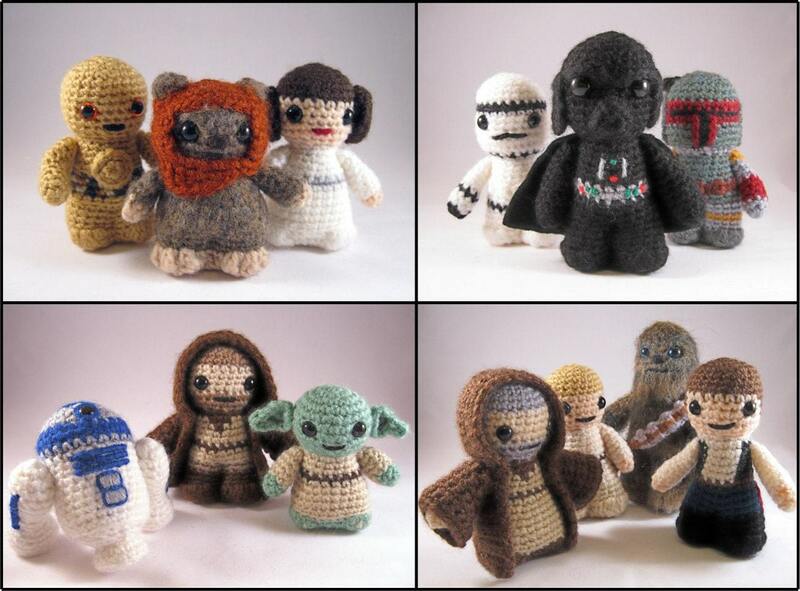 She's made some of the most awesome Star Wars themed amigurumi among the tons of other amigurumi patterns she has available. 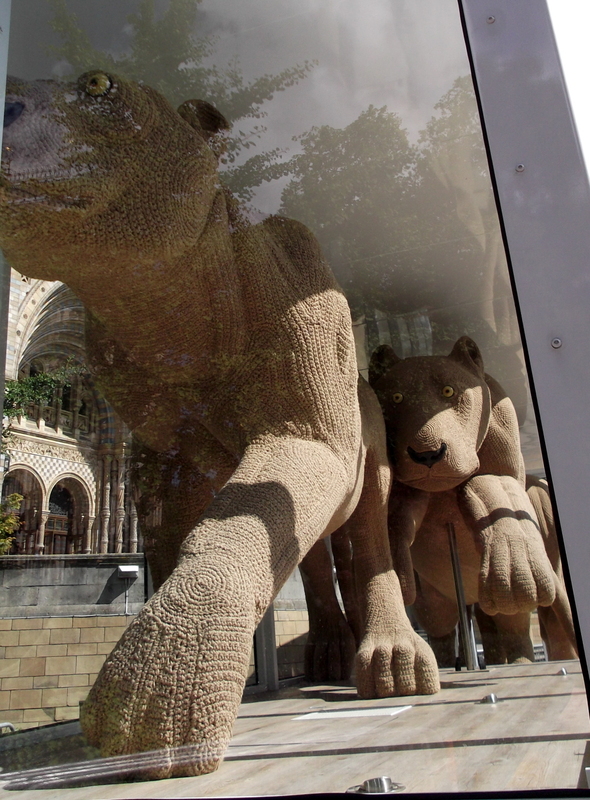 London comissioned artist from around England to create works of art specifically for the Olympics, one of which were these absolutely amazing giant crocheted lions by Shauna Richardson. 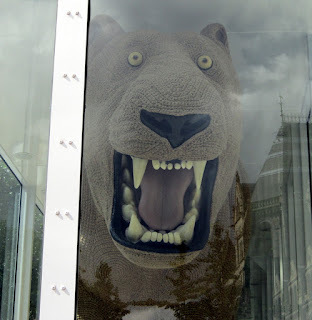 She is another incredible crochet artist, check out more about her work here. 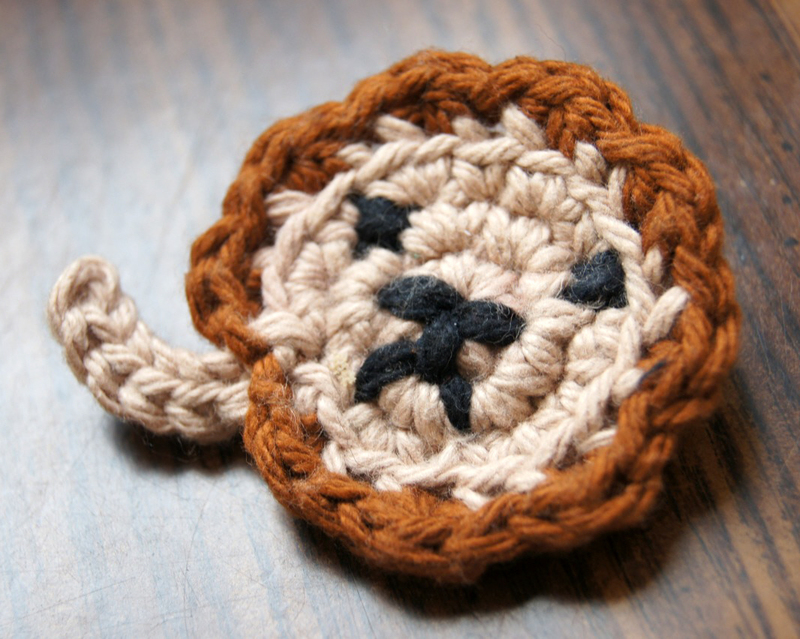 To comemorate this amazing feat in crocheting and somewhat the Olympics, Lucy and I decided to do a pattern swap focused on Lions. 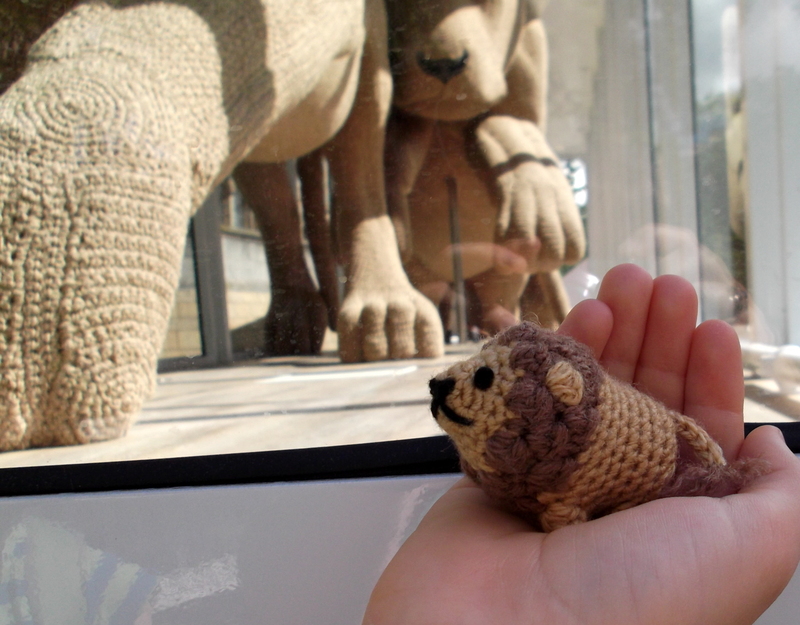 She created a simply adorable amigurumi lion named Boris. Her, her kids, and Boris went to go visit the lions in London a few weeks back and talks about the incredible size of the crocheted beasts. Check out her blog entry here talking more about her trip. Tomorrow we'll be doing the swap so check out her creation, Boris, here and my creation, Leroy the lion pin, on her site! Wow! Those Olympic Lions are amazing Louis! A whole body suit! 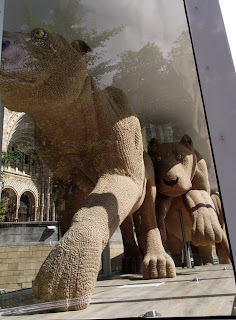 Reminds me of a crochet bathing suit I used to have......its a good thing those lions don't swim in the ocean!